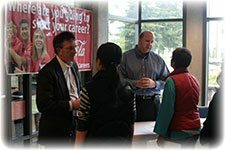 One of the best places to recruit job seekers is in our Student Union / Cafeteria between 10am and 1:30pm. We can provide you with a 5’x3’ uncovered table and two chairs. You are encouraged to bring information about available positions, a tabletop display that features information about your company, and small give-aways to attract students’ attention. This service is free and available from September through June. 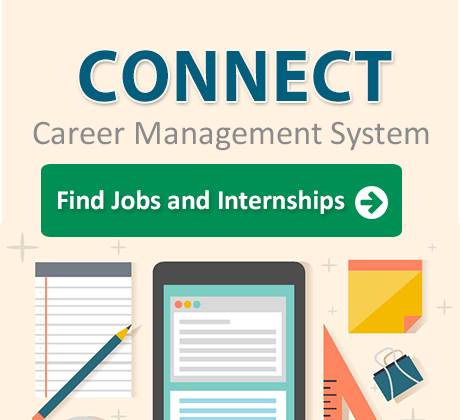 The college regulates on-campus recruiting, so you will need to be sponsored by the Center for Career Connections. To get sponsored, you will need to meet our Guidelines for Employers and Recruiters. We advise you to schedule your visit at least two weeks in advance. If you don’t meet our Guidelines for Employers and Recruiters, you may still be able to recruit on campus. Contact Event Planning at (425) 564-4043. A fee will be charged for using campus facilities. We’ll help you schedule a room for conducting on-campus interviews, and we’ll promote the event to students, alumni, and community members. Interview schedule time is flexible and available year-round. However, September through June is the best time, since most people attend school during these months. The more time we have to promote the interview schedule, the better the response.